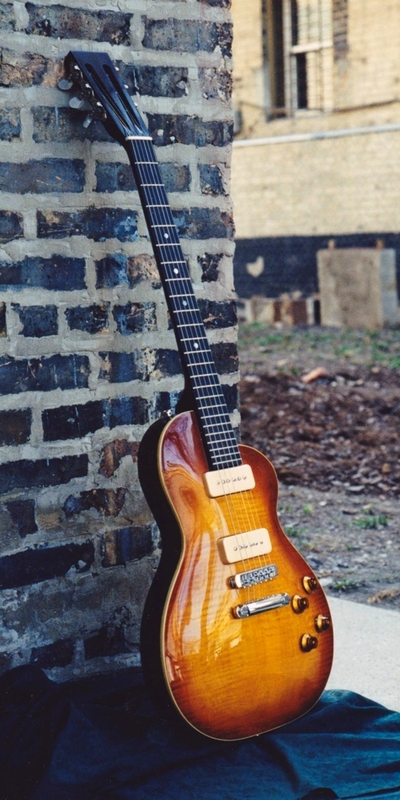 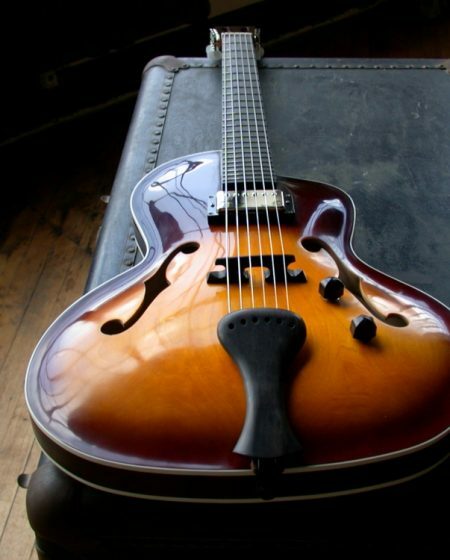 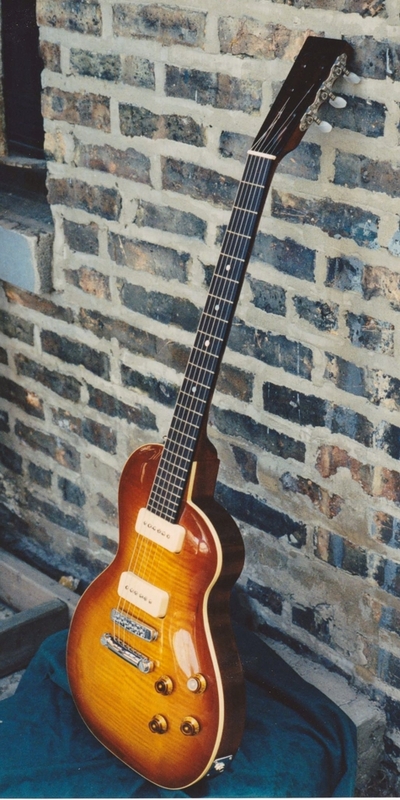 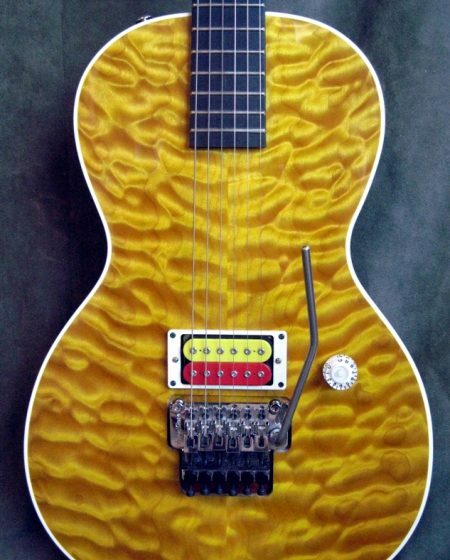 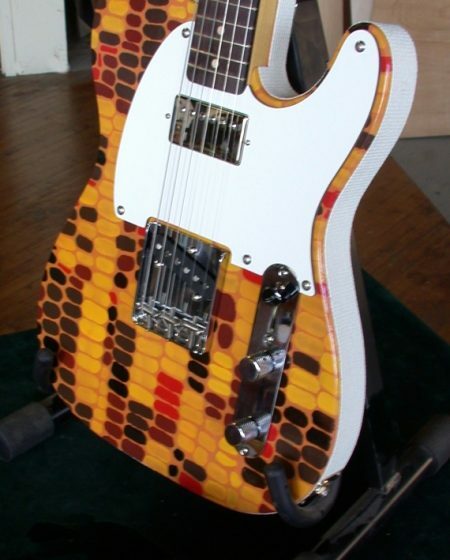 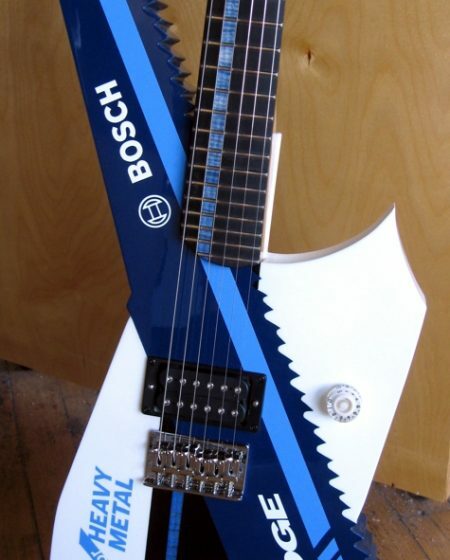 This semi-hollow-body electric guitar is the last Specimen made in the 20th century. 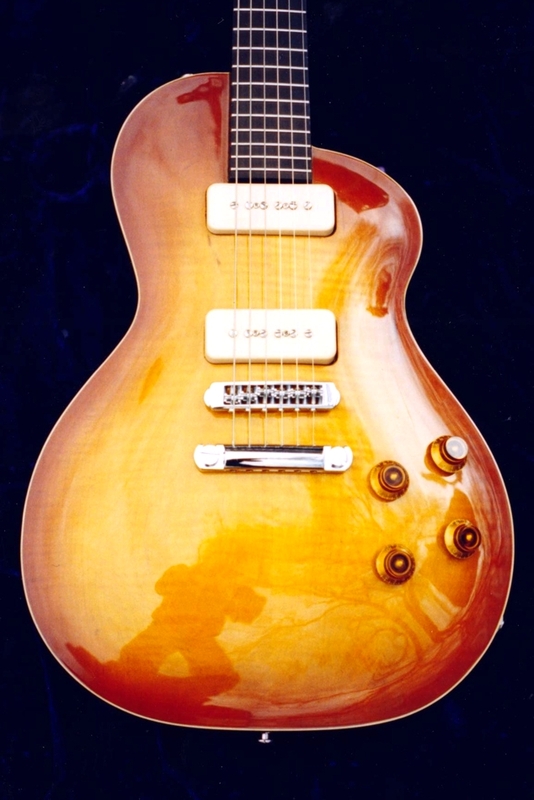 Its high carved top, made from a piece of highly-flamed maple, is finished with a subtle nitrate sunburst. 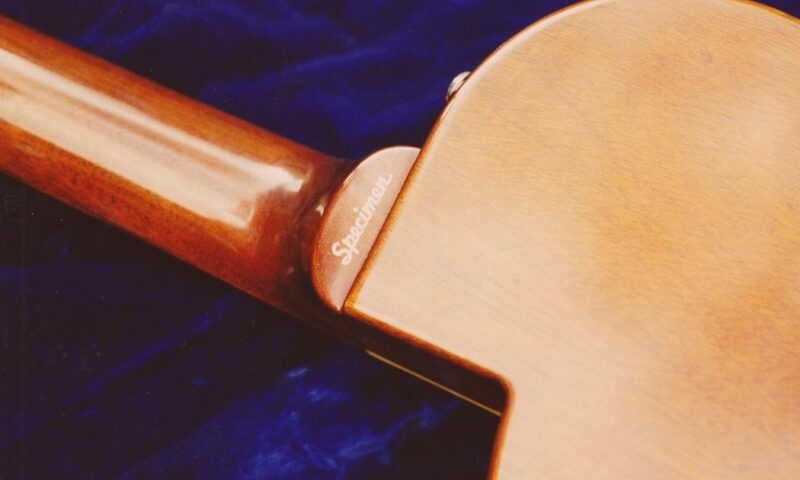 The slotted headstock recalls the parlor guitar popular at the turn of the last century. 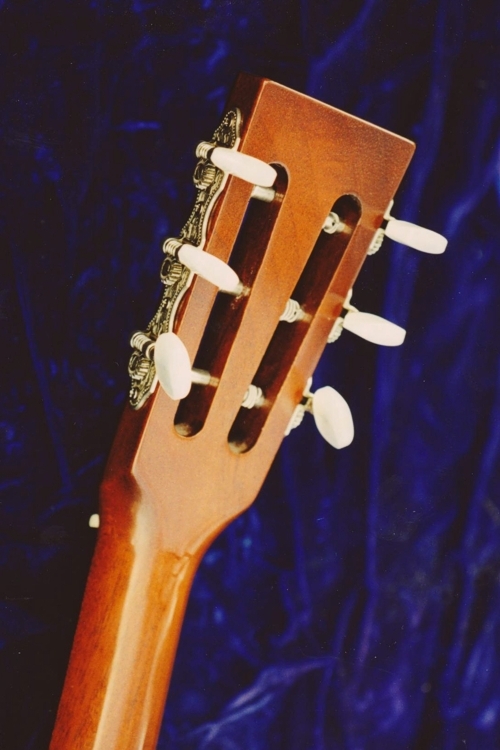 Unusual in an electric guitar, this headstock design increases the string break angle over the nut giving its sound an echoic shimmer. 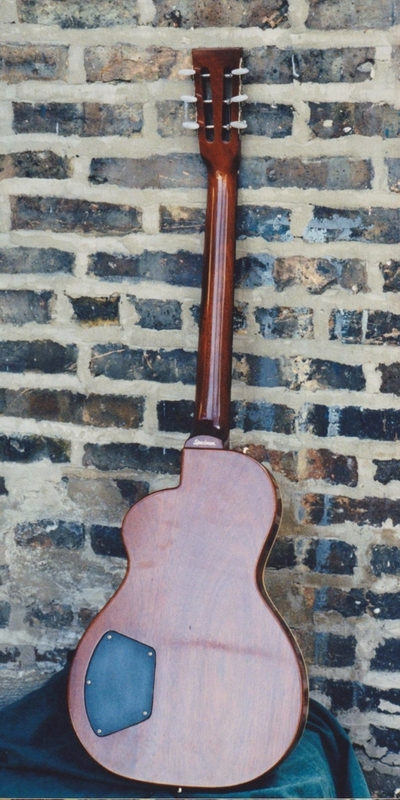 This Pippin has unbelievable resonance.